Just back from Paris, Shelby barely has time to get over her jet lag before she is right back in the thick of things. Uncle Joey, the local mob boss, needs her help to find out what his son is hiding from him. Detective Harris, AKA Dimples, has an unsolved homicide on his hands, along with a missing engagement ring. Shelby's husband, Chris, just got promoted to partner in his law firm, and she has yet to see his new office or meet his new secretary. Add to that the opportunity to purchase a beautiful home, and Shelby is racing from one thing to the next while trying to keep them all straight. When a courier in Uncle Joey's organization turns up dead, it's up to Shelby and her mind-reading powers to find out who killed him and why. The house Shelby wants to buy has a few problems that go beyond the building code, and the murder she's helping Dimples solve has ties to Chris's law firm. 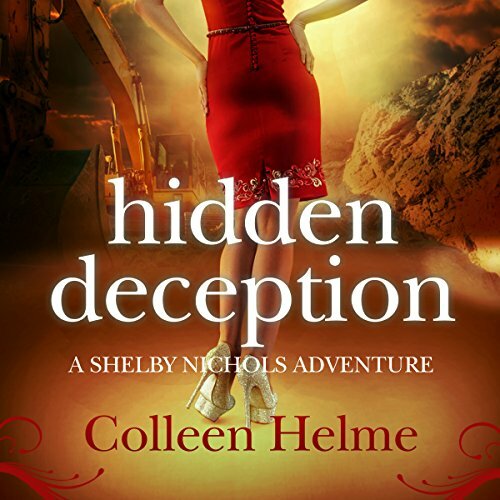 Even using all of her skills, Shelby finds one hidden deception after another. And if she's not careful, it might be the one she least expects that will kill her. As always Shelby Nickols Adventures are wonderful. Volume 9 in this 10 volume series has lots going on. Narration is stellar. I started reading the series exactly a week ago and have devoured all my credits listening through. 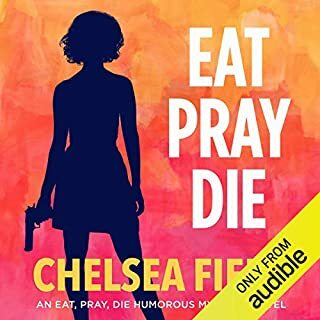 I stumbled upon Shelby while browsing through suggested books on audible, as I was looking for something light and fun to read. And boy was I in for a treat. I Haiti buy extra credit just to finish the series as I couldn't wait till month end. Anyway Shelby is a trouble magnet and my kind of girl. I love her relationships and how she makes people feel. Though I just wish she could have a romantic gateway with Ramos 😍. I love it the books are get better every time and to think it all started because of "carrots". So awesome, that I have listened to all but one, even buying one 'cause I'm out of credits! ... off to buy the next one and hoping for many more! Yes. It is too good of an entertaining series not to recommend. I love Shelby for her humor, her loyalty, her quick thinking and her dedication to her friends and family. What about Wendy Tremont King’s performance did you like? Everything! Ms King and Ms Helme are a perfect fit with this series. Ms. King does a fantastic job keeping voices consistent over all nine books and keeping each characters voice distinctive and recognizable throughout the nine book series. 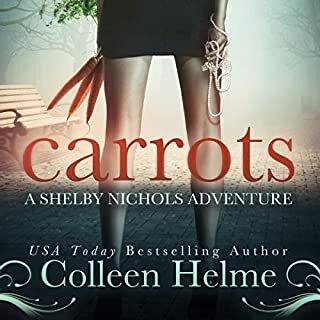 This is the 9th book in the Shelby Nichols Adventure series and I hope Ms. Helme doesn't run out of adventures for Shelby and the gang any time soon! This series is a light-hearted mystery/ suspense with likable and lovable characters, including the local mob boss and his hired gun! I thoroughly and completely like this series for its humor and the curious ways Shelby seems to attract trouble. This series is a great escape. Shelby is a stay-at-home mom of two teens and an attorney's wife with the enviable ability to read people's minds. "Enviable", of course, is a matter dependent on the situation! 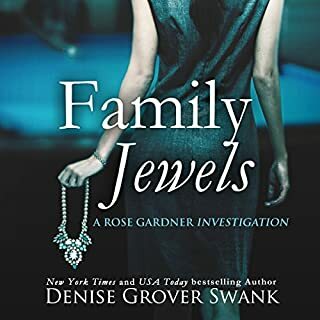 Shelby uses her nearly secret talent to help the police solve current and cold cases, help the mob boss find out who's telling the truth and who's not, and help clients of her newly-created consulting agency. In this episode, everyone is hiding a little something and it's Shelby's good (or not-so-good) fortune to figure things out -- from solving the ten-year-old missing kids case, to finding the real diamond stealing double-crosser and helping Uncle Joey's son break the news to his dad that he's in his high school play/musical. I am not certain there is another author/narrator duo as well-matched as Ms Helme and Wendy Tremont King. Ms King is beautifully consistent between all nine books and is excellent in keeping each character's voice distinctive and identifiable. Thank you, thank you, thank you, Ms. Helme! I thoroughly loved sinking into this Shelby Nichols Adventure and I am (maybe-not-so) patiently waiting for book #10. Colleen weaves another fantastic story! I started reading this series after getting the first book, "Carrots" for 99 cents on Amazon. Each subsequent book is reasonably priced. I've never read a story quite like this. The premise is quite unique, and the way she explores how mind reading effects family and the moral dilemma is thought provoking. She makes Shelby very relatable. I am hooked, having devoured every book, and eagerly await the next! Her style reminds me of another favorite author, Victoria Laurie, with a great mix of humor, mystery, and action. 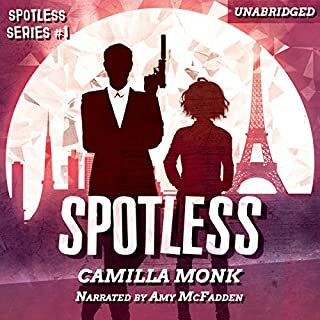 This series is very well edited, and the voice talent for this audiobook makes a distinct voice for each character. The cover art is beautifully illustrated and reflects the theme of each story, and the title convention used after Carrots, is cheeky and fun. What made the experience of listening to Hidden Deception the most enjoyable? Wendy returns for the ninth installment of Shelby's adventures. She is wonderful at the feel of Shelby. We really get a feel for her emotions with her thoughts. She makes me smile listening to Shelby's easy thoughts. Wendy does make slight differences for different characters as we go, which helps make them easier to differentiated with their personalities. Wendy gets to voice a Russian accent for this story. Shelby is busy as ever with all that's greeting her this week. 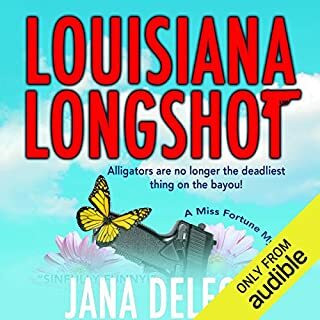 Visiting with Miguel, homicide case with Dimples, The Russians and missing diamonds, looking at a possible new house, and the dead child's cries. Wow can a day fill up fast! Oh and the dangerous troubles Shelby finds herself in. And this book is thanks to Uncle Joey and his use of Shelby and her ability with the Russians. But things get dangerous with Dimples too, when not expected. There are many memories of all the troubles Shelby's been through. If you start with this book, they'll make you curious what fun troubles Shelby has found herself in. And you know it always had to be fun, if even scary for Shelby. Sure, you could start here as each book has it's own story to tell, and there are hints to the relationships with all the characters by now. I look forward to more stories with Shelby and all the great cast of characters around her! Colleen Helme and Wendy Tremont King have teamed up for another great addition to the Shelby Nichols series. I highly recommend this book, but suggest starting at the first in the series. Another great cozy from Colleen Helme! Would you consider the audio edition of Hidden Deception to be better than the print version? Since I haven't read the print I can't compare but I do know that I wouldn't read these any other way. I love listening to them! The narrator is great! Shelby helps Dimples with a case and actually has to save him from falling. I would have listened to it in one sitting if life didn't get in the way...lol. The author has done it again! Just when you think Shelby can't get into any more trouble she seems to find herself right smack dab in the middle of it all. Russian mobsters, dead bodies under a house, missing diamonds, etc. 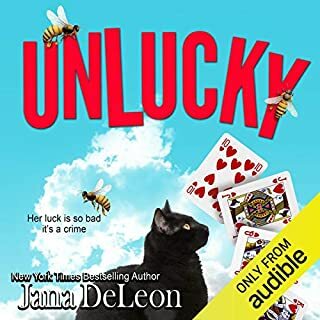 If you are looking for a fun cozy mystery with lots of adventures and a lot of laughs then you need to try this series. The narration is great and I can't wait for more adventures! Another delightful adventure in the Shelby Nichols series! I always look forward to the next book; keep them coming!